I’ve never been a fan of horror cinema. I’m not sure whether that’s down to my experience of people hiring Saw LXII ad nauseum at Video Ezy, or my perhaps misguided decision to subject myself to The Exorcist, 28 Days Later, and Psycho in my formative years. Quite why I decided, then, to watch The Awakening yesterday is beyond me, despite my undying love for the leading actress. The film is beautifully shot, as you’d expect from the BBC. The casting was just as impeccable, with Rebecca Hall aided by Dominic West, Imelda Staunton, and Bran from Game of Thrones. There were moments, while watching, where I thought I could almost be persuaded to watch more horror. The jump-scares weren’t terribly frequent, and the scripting actually wasn’t too cliched. There was a neat set-up — Hall plays a skeptic in 1920’s England, who is called upon to disprove the existence of a malevolent spirit in a remote boarding school. The context was wonderful, too: the characters have all been affected in some way by the war, and these scars (whether physical or psychological) affect their lives and their characters’ progressions. The ending, though, left me cold — not chilled, but just cold. I think it’s endemic in a genre so rife with cliche to just take the easy way out. Having established the twist in the narrative (which I’ll leave out in case you’re keen to watch), the rest of the film fizzles, and we’re left with a question that’s pretty much already answered. 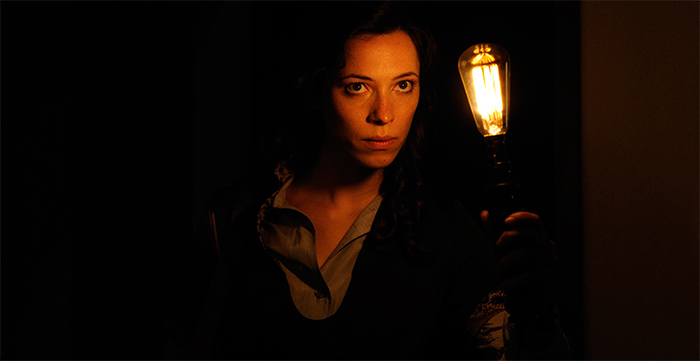 Period horror does tend to be the exception to the rule, in that you can explore historical themes and characterisation as well as the psychology of fear. There were just one too many hackneyed techniques in this one for me.